The International Maize and Wheat Improvement Centre (CIMMYT) has just released a report on the global use of improved wheat germplasm and the economic benefits from international collaboration in wheat improvement. 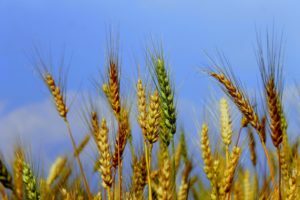 This research, funded by CGIAR, involves national agricultural research systems, CGIAR organisations, and advanced research institutes, and contributes to the fourth in a series of global wheat impact assessments. It backs up the significant benefit Australian wheat farmers receive from CIMMYT varieties. was designed to increase awareness about the value of international wheat improvement research. Since 1994, wheat farmers worldwide have enjoyed access to more than 4,600 new varieties. It also notes that in WA, CGIAR-related varieties were used on more than 90% of the wheat area. This confirms the findings of Brennan and Quade (2004), who reported high spillover benefits to Australia from CIMMYT/CGIAR wheat improvement research, as well as related averted welfare losses. CIMMYT’s press release on the study can be accessed here. The Crawford Fund assisted with media outreach, and Fairfax Media regional coverage (via Queensland Country Life), is available: ‘World grain research collaborations critical’. Click here for an online link to the ‘Impacts of International Wheat Improvement Research, 1994-2014’ report. Globally, CGIAR-related varieties covered about 64% of the study countries’ 165.7 million hectares sown in 2014. This area represented three-quarters of the world’s wheat coverage (222 million hectares). The area not covered is mainly located in developed countries such as France, the United Kingdom, other EU-28 member countries, other areas of the Russian Federation (represented in this study by the Omsk region only) and Australia’s wheat areas (aside from Western Australia which was covered in this study). The study confirmed that international wheat improvement research continued to generate very high returns. Annually, some $30 million  was being invested by the CGIAR in international wheat improvement research. 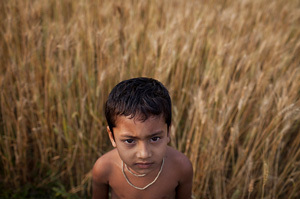 In recent years, funding had come primarily through bilaterally-funded research, conducted with partners worldwide by CIMMYT and the International Center for Agricultural Research in the Dry Areas (ICARDA), and including approximately $6 million per year (since 2012) for the CGIAR research program on Wheat. CGIAR organizations develop and freely share global public goods and depend on national partnerships to achieve meaningful farm-level impacts. Using two attribution scenarios (historic average increase over base yield, and marginal yield increase by longevity), annual benefits generated from global wheat improvement efforts ranged from $6.7 billion to $9.4 billion . These benefits are attributable to global wheat research that includes the contributions of CGIAR, national agricultural research systems, and advanced research partners. The benefits attributable specifically to wheat improvement research by CGIAR organizations ranged from $2.2 billion to $3.1 billion  per year—levels that confirm and exceed estimates from earlier studies and largely reflect expanded area under improved varieties and a higher reference price for wheat. The benefit-cost ratio for CGIAR wheat improvement efforts ranged from 73:1 to 103:1 and appears dramatically to justify the investments made. Note that these estimates do not encompass benefits from non-yield traits such as improved grain quality or fodder quality, straw strength, or shortened growth cycles, all of which would further boost the returns. Consistent and sustainable future funding is critical to maintain an efficient and effective global wheat germplasm improvement pipeline, able to respond to emerging threats and opportunities and allowing farmers to satisfy the demand for wheat for the 9 billion-plus world population expected by 2050. Developing countries received the greatest benefit from CGIAR contributions, particularly in spring bread and spring durum wheat areas, an outcome that aligns with CGIAR’s mandate to help resource-poor farmers and alleviate poverty and malnutrition. Still, adoption of CGIAR-related cultivars was not limited to developing countries and our study highlights significant spill-overs. • In Canada, three-quarters of the wheat area was sown to CGIAR-related cultivars. • In the U.S., nearly 60% of the wheat area was sown to CGIAR-related varieties. 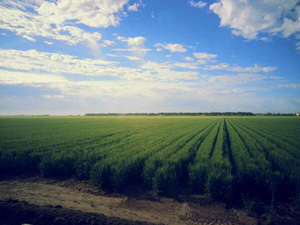 • In Western Australia, CGIAR-related varieties were used on more than 90% of the wheat area.